Local man Phil Martel and his daughter Jodie are joined by 2nd Coxswain Jason Norman and Assistant Mechanic Linden Galsworthy aboard our St Peter Port Lifeboat “Spirit of Guernsey”. 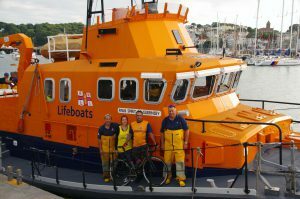 Phil will attempt to ride the 994 mile Lands End to John O’Groats between 9th – 17th September this year raising money for our Lifeboat Station. 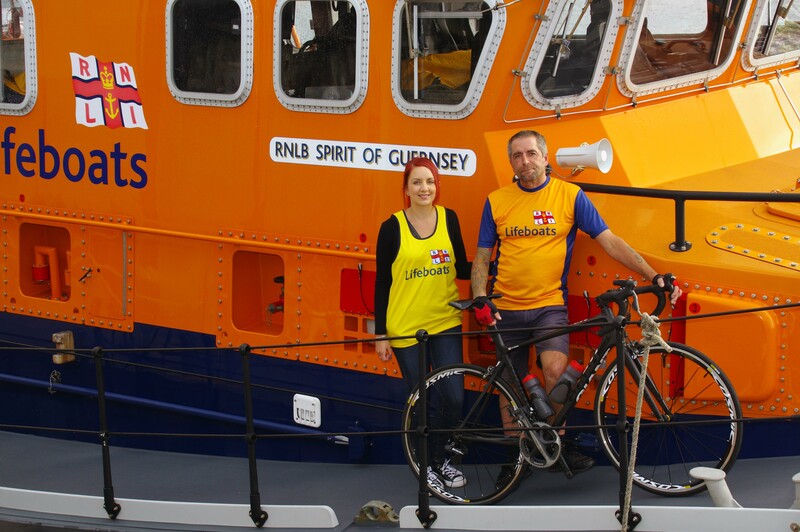 Local Cyclist Phil Martel with his Bucket Shaking Daughter Jodie aboard the Local Lifeboat Spirit of Guernsey. Between 9th and 17th September this year, Phil will attempt to ride between Lands End to John O’ Groats. Phil will be raising money for the Local Lifeboat Station. 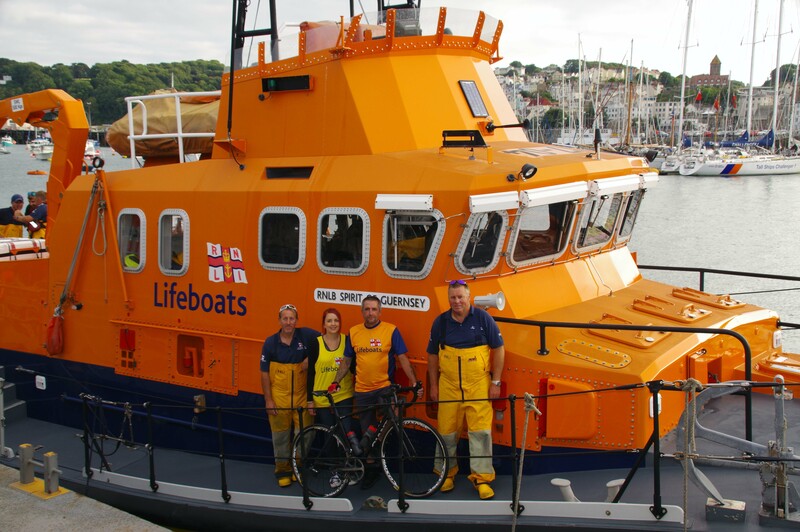 Local Cyclist Phil Martel (holding his bike) with his Daughter Jodie accompanied by Local 2nd Coxswain Jason Norman (L) and Assistant Mechanic Linden Galsworthy (R) aboard the local Lifeboat Spirit of Guernsey. 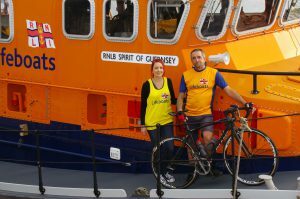 Between September 9th-17th this year, Phil is going to attempt the 994 mile Ride from Lands End to John 0’Groats raising money for the Local RNLI Station.